A medium-sized company which has fully specialised in the design and manufacturing of rigid and complicated aluminium constructions since the 1960’s. Production is carried out in a number of construction halls. All of these halls have been fitted with shop-cranes and large sized doors to enable indoor construction of the products. The yard is situated on open water (river Lek ) close to Rotterdam. All above mentioned have been designed and constructed in a variety of aluminium alloys Welding according MIG and TIG process with qualified welders and approved welding procedures An in-house design department is available to meet all needs and requirements. Quality control system in accordance with AQAP-4 and ISO 9001. Bayards Italia is based in Milan and Bayards Merlin is based in Kristiansand Norway. These companies are recently established to stay in close contact with our clients in the northern and southern parts of Europe. Designing and building aluminium helidecks for the Offshore and Marine industry is one of the specializations of Bayards, with an experience of over 30 years and over 600 helidecks installed for any type of platform or vessel. The Company's helidecks can be supplied with firefighting equipment, lighting systems, heat tracing and maintenance free safety netting for optimal safety. No maintenance on the structure, low costs of ownership and an extremely long life time are the standards. What else can you expect from Bayards aluminium helidecks? A total weight reduction of up to 60% of the helideck by including an aluminium support structure? With the advanced Bayards-concept for lightweight support structures, this is easily possible. The benefits? Due to Bayards' expertise and craftsmanship, Aluminium is an ideal material for defence construction since is possesses the main pre-requisites for defence equipment. Aluminium is lightweight but very strong. The material has superior formability features as well as an excellent corrosion resistance, which makes it easy to maintain. The Company has expertise and craftsmanship in aluminium construction. Bayards successfully executes several projects for the army and navy forces. Bayards can handle high grade welding of aluminium and assembly work and they can work conform to military standards, such as AQAP 2120. Bayards is an appreciated partner and active supplier of the defence industry. 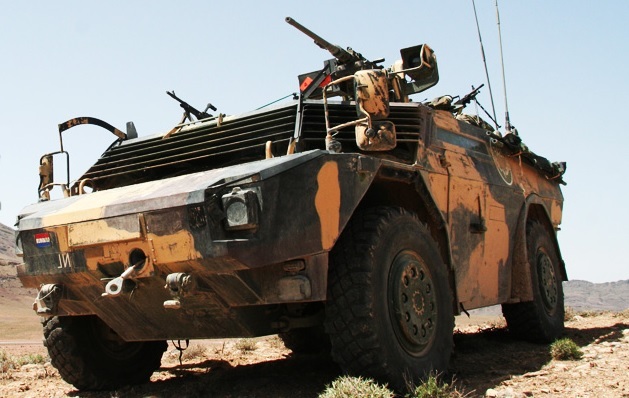 Beside supplying the army and navy forces with various aluminium material, Bayards has also supplied the defence industry with 400 aluminium chassis for a new all-terrain reconnaissance vehicle, which was set the highest requirements on the Company's machining and welding capabilities. Bayards was capable to set up a fully equipped production facility with Europe’s most advanced computer-operated and high-speed milling- and welding machinery, including a friction stir welding machine. The application of helicopter transport has a lot of advantages and is very useful in different situations. It is extremely important for trauma care for faster transport of patients or victims and lifesaving operations. Helicopter transport also offers a great deal of possibilities for business and infrastructure. Bayards specialises in aluminium construction for different industries. 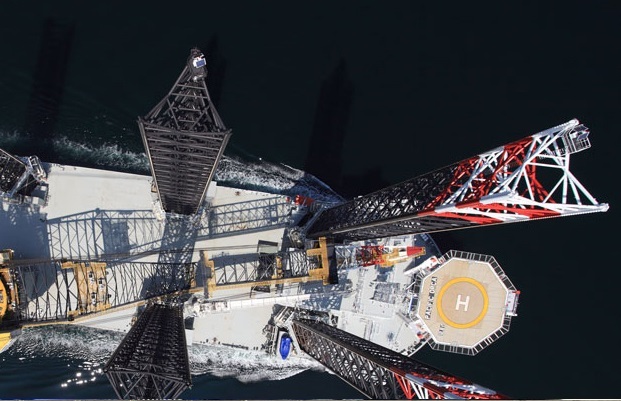 Bayards has expanded their years of experience and know-how about offshore helidecks and also specialises in the engineering and building of rooftop helipads for civil application. 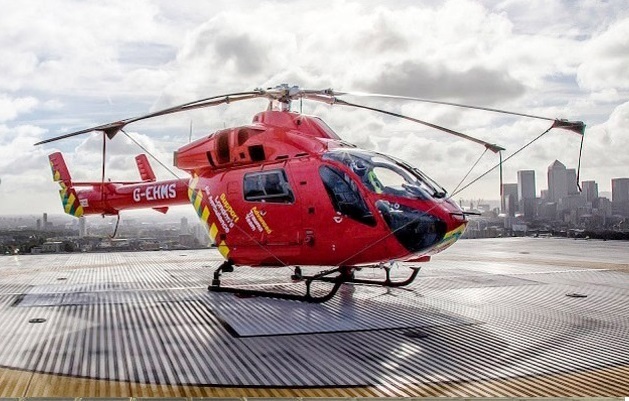 Over the years, the Company has built various helipads for hospitals, high-rise buildings and helicopter transport services in different city centres around the globe. Bayards is also one of the first to support the European HEMS & Air Ambulance Committee (EHAC). The Company's helipads can be installed on any existing building, whether it is low or high rise. No additional structure reinforcements are required due to the lightweight properties of aluminium. Bayards’ helipads are maintenance free and configured in accordance with the latest international safety regulation and highest quality standards. Bayards’ helipads are supplied as a prefabricated assembly kit and can be assembled by the customer's crew under Bayards' supervision. Looking for full integration of lighting, fire detection, communication and safety walking according to the globally applicable and strict safety standards? Then Bayards’ professional engineers can develop a clear construction kit in cooperation with the client, which can simply be transported to destinations all over the world. Moreover, Bayards supplies all thinkable forms of cladding, including A60-cladding. Bayards offers lightweight gangways of aluminium. After all, there’s nothing more important than the connection between the offshore platform, the vessel, ships and quays. The lighter it is, the lighter the powering for the three movement planes, slewing, luffing and telescoping. Bayards’ lightweight gangways connect the dots and keep it together! The Heavy Duty Barrier absorbs the impact of sliding elements on the deck in a flexible way, hence protecting people. Besides that, Bayards offers lightweight and maintenance safety systems as flex barriers and swing load protection barriers. Safety guaranteed! Easy to assemble and quickly operational: the aluminium antenna tower. Equipped with custom-specific claddings and coatings, such as the internationally required red and white striped safety colours. Bayards has written offshore history, with the first aluminium helihangar worldwide. An extraordinary production. Aluminium is up to three times lighter than steel and is gaining popularity, because in offshore constructions every pound counts. Ensure the safest transportation forpeople, from vessel to platform or vice versa, with Bayards’ aluminium personnel basket. Expect minimum weight, with maximum safety regarding landing, stability, retrieval, gravity, access and buoyancy. Nature doesn’t get a grip on the all-weather aluminium protection cladding. Maintenance free and explosion-proof protection shields, enable increasing production times without decreasing safety. Shipbuilding is probably one of the oldest construction specializations still existing. Nowadays, it is also one of the most advanced ones. 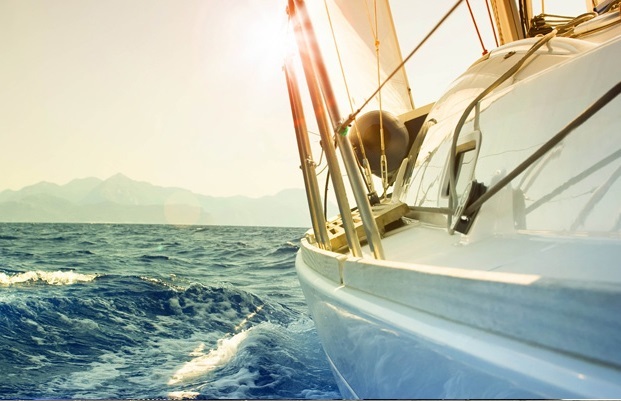 Aluminium has a unique combination of properties that is ideal for the construction of yachts. Also, it is very suitable for the shaping of hulls and shells for a large variety of boats and ships. Bayards has 50 years of experience in this area and is thus highly skilled in using aluminium in building structures for Vessels used for commercial, defence and leisure purposes. Bayards uses the characteristics of aluminium in the shipbuilding industry optimally, to come to a structure that meets up with the requirements of both aesthetics and engineering. The Company has specialized in the construction of super structures for the leading super yacht building companies in The Netherlands. Bayards is aware of the multiple possibilities and applications of aluminium as a construction material. The Company provides various solutions with aluminium for the infrastructure and transport industries. Over the years, Bayards has designed, extended, constructed and reconstructed countless types of bridges. From replacements of specific parts, to complete replacement of the old parts for new aluminium structures, Bayards does it. The Company has worked on various projects: from replacements of deck elements to replacement of concrete bridge sections to reduce structure weight and increase carrying capacity. Bayards also constructs aluminium solutions for pedestrian walkways. Another important infrastructure project that Bayards has worked on is the floating road. The Company did this in cooperation with different institutes, architects and the Ministry of Transport. The floating road can be placed in any waters to offers a solution in case of inaccessible roads and bridges. There is no lack of options when it comes to Bayards’ containers. They can adapt to every product with different possibilities, like refrigerated and deepfreeze containers as well as containers for chemical transport and standard containers with manholes, loading doors, butterfly valve outlets and handles. With these containers, even the most hazardous materials can be transported safely and economically. Since Bayards’ containers are lightweight and maintenance free, fuel expenditures can be reduced drastically. Modern architecture is not only demanding in function, but also in aesthetics. Buildings are creations. Reflections of art that can become icons. Architecture is determinative for the streetscape that we live in, and should therefore be aesthetically pleasing. Architects use aluminium more and more due to its advantages over conventional materials, such as steel and concrete. Bayards has contributed to several world-renowned architectural projects over the years. Do you know the Lord’s Media Centre in London? The Stairways of Palariccione in Italy? 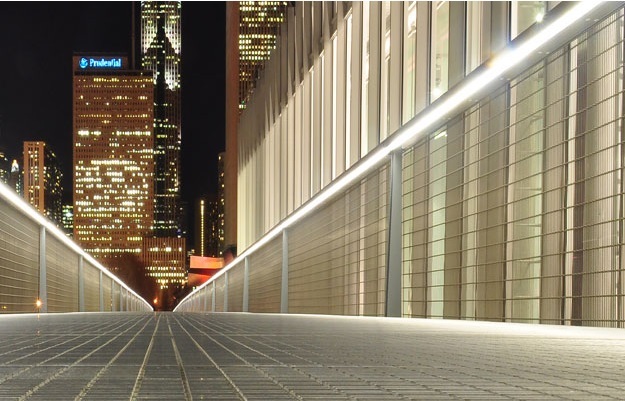 Nichols Bridgeway in Chicago? Bayards encouraged famous architects in realizing their most ambitions and creative ideas and worked with them on the most demanding and exacting architectural projects. Over time, the Company has contributed to many incredible projects that have resulted in a number of prestigious awards. With aluminium, the possibilities are endless. Bayards has years of experience in building various aluminium constructions. Yet, there is so much more that aluminium has to offer and possibilities to explore. Bayards constantly develop their knowledge and skills around aluminium. Due to their extensive knowledge about production technology, aluminium as a material, its possibilities and its behaviour, the Company has some valuable assets within the high-tech industry. With a state-of-the-art machine park Bayards is the perfect partner for a very successful implementation of the most creative and innovative ideas. Therefore Bayards maintains an ongoing collaboration with numerous research institutes and high-tech companies such as TNO. 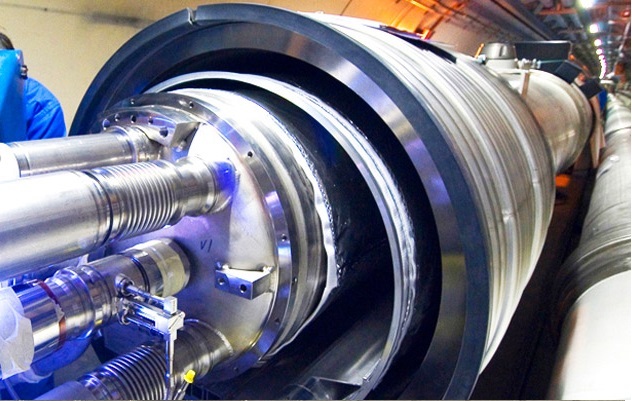 Everyone will know the ground-breaking projects of CERN (European Organization for Nuclear Research). Their activities are currently mostly directed towards the Large Hadron Collider (LHC) beneath the Franco-Swiss border near Geneva in Switzerland, which is the world’s largest and most powerful particle collider that lies in a tunnel of 27 kilometers in circumference, at a depth of 175 meters (574 ft). This particle collider allows physicists to test different predictions around particle physics and high-energy physics as well as the existence of the theorized Higgs particle advancing the human understanding of physical laws. Aluminium has the property of becoming stronger at very low temperatures. Bayards has used this property and their extensive know how about the material to design and produce the bottom tray for the LHC. The Company has applied special production techniques with advanced precision equipment, like ‘orbital’ welding (360° rotation around a piece of pipe). In this way we successfully met the highest quality requirements to work on this truly remarkable high-tech project.